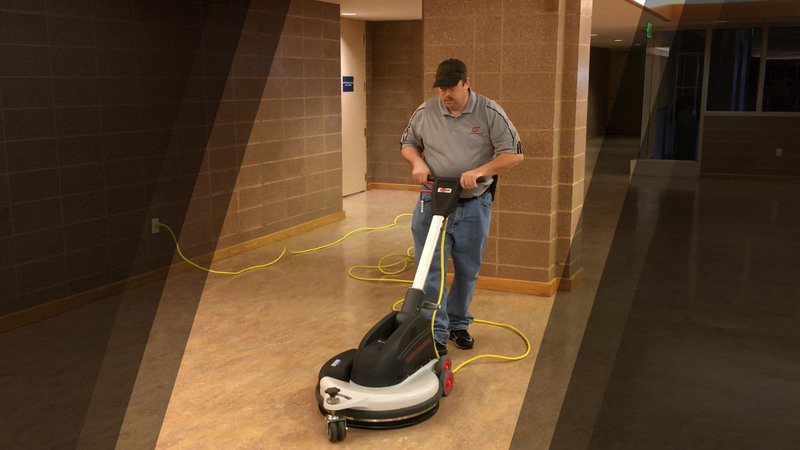 How does commercial floor waxing work? If you’ve ever explored commercial cleaning services you’ve probably heard of floor waxing. But what does it entail, and how does it work? Waxing is an affordable way to protect floors from the wear they withstand each day. It’s similar to waxing your car. First you clean your car to make sure the surface is clean and has no dust or grit. Then, to get that nice shiny look, you apply the wax to seal it. The wax is temporary, but while it’s on there it protects your car’s paint from weather, people brushing up against it, and even harsh sunlight. Floor waxing is similar. First, the floors are thoroughly cleaned so that none of the grit and grime is left. Since the wax forms a protective seal, you don’t want to essentially lock in grit. That will only make it tougher to clean afterward, and the wax won’t form as complete a seal on the floor. After the wax is applied, the floors will look shinier and will resist stains and smudges. Dirt people track in on their shoes is easier to clean, and scuffs from heavy objects or moving things will be reduced. Unfortunately floor wax is temporary like waxing your car. As people walk on the floor, and each time it’s mopped, some of the wax will wear off. Eventually this means that the floors will need to be stripped so that new wax can be applied. When the wax on your floors gets worn and needs to be re-applied, there’s more to it than simply slapping on another coat. For much the same reason as we clean floors the first time before applying wax, it’s important to thoroughly clean and strip the floors. The eco-friendly solution we use is non-toxic, and will effectively remove the old wax along with any dirt and grime attached to it. This way your floors are totally bare (and clean) before another coat of wax is applied. Facilities can often prolong the use of a current coat of wax by buffing and other wax treatments. Buffing gives it a nice shine, but also ensures the coverage is smooth and even. Over time and wear small ridges may form in the wax as some of it erodes away. Buffing or burnishing can more or less melt the wax back into an even coating, which prevents dirt from accumulating in those ridges and wearing the wax away faster. Ready for a great floor maintenance solution to accompany your other cleaning needs? Give us a call today to learn more!